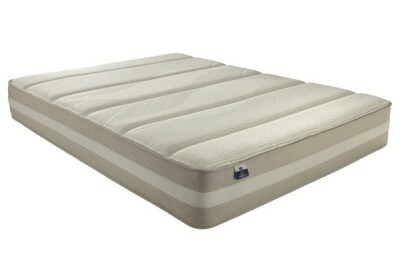 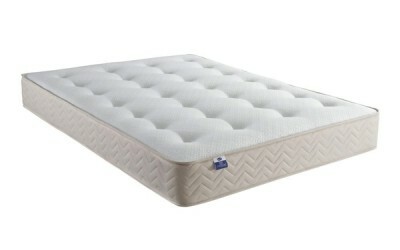 In my opinion, memory foam is without a doubt the future of mattresses. 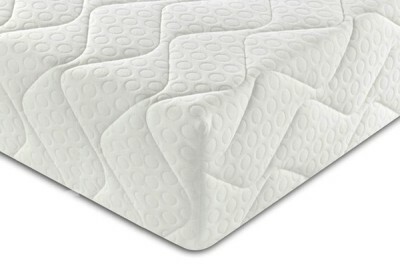 There’s something somewhat sci-fi feeling about this remarkable technology which makes sense as it was originally developed for use in NASA space missions (along with Outlast temperature regulating textiles). 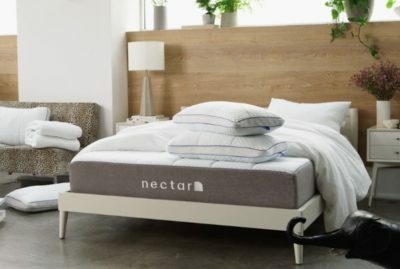 Laying on a memory foam mattress is really a unique experience as the unrivalled support created by the way that the memory foam moulds to your body shape feels like a caress and gives a bizarre sense of weightlessness as if you were floating. 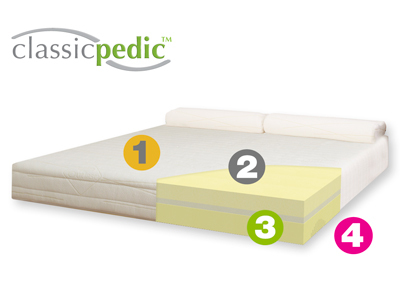 Most memory foam mattresses feature a layer of memory foam over a sturdy reflex foam base although we do also include some memory pocket mattresses in this section in which a layer of foam pads out the surface layer of a traditional pocket sprung mattress. 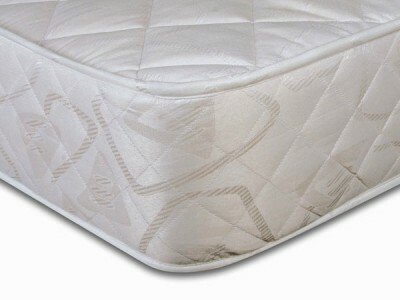 As there are no springs in a full foam mattress there is also obviously no noise and there is little than can wrong with the mattress itself meaning manufacturers can offer lengthy warranties in the region of 15 years unlike coiled mattresses where springs can snap. 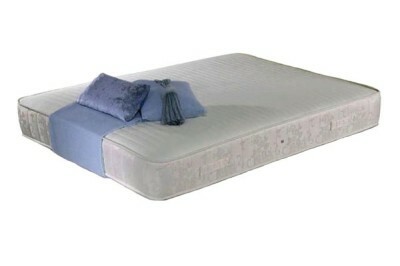 You may think that a memory foam mattress is going to be expensive but that really isn’t the case nowadays. 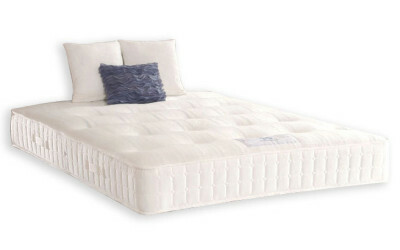 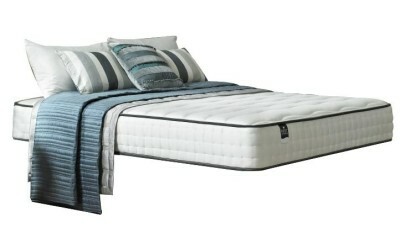 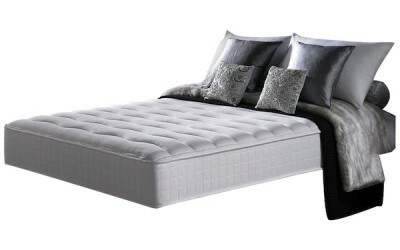 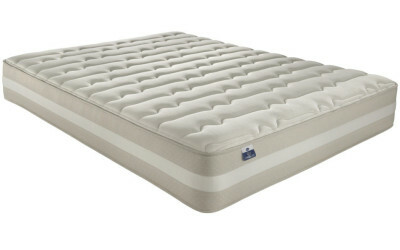 While some mattresses are indeed expensive such as those offered by Tempur, if you read our memory foam mattress reviews you’ll see that there are other brands such as CoolMax, Outlast and Breasley who manufacture products of similar quality and specification that are roughly 80% cheaper than Tempur. 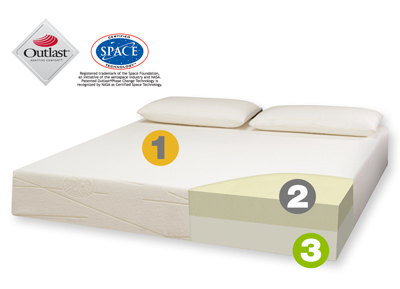 A good way to gauge the quality of a memory foam mattress at a glance is to look at the density and thickness of the memory foam used. 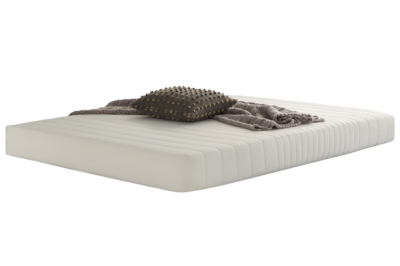 A denser memory foam means that although the mattress may feel stiffer, the foam will react better to the heat produced by the body and soften due to its visco-elastic nature to mould to your form. 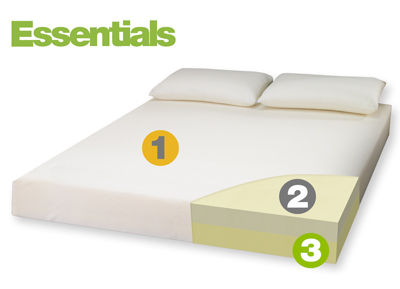 A standard density is 50kg/m3 while higher quality mattresses may use 60kg/m3 or 75kg/m and Tempur tend to use HD (high density) memory foam with a density of 85kg/m3 in some of their mattresses. 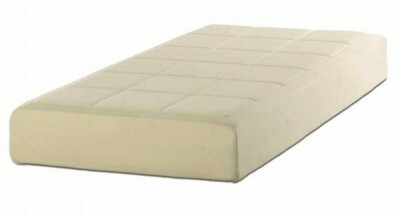 The thickness of the memory foam used is also worth looking at and can easily be deduced from mattresses sold by the Memory Foam Warehouse by looking at the number in the name. 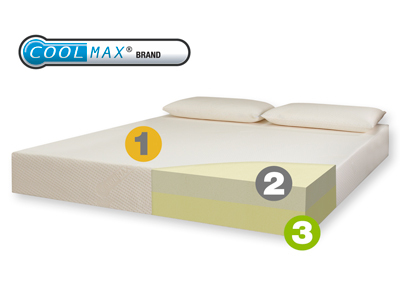 For example a Coolmax Performance 250 mattress has a 2.5cm layer of memory foam while the Premium Outlast 800 has 8cm of memory foam. 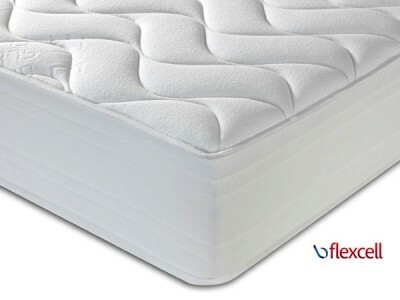 However, a thin surface layer of memory foam isn’t necessarily a bad thing and is in fact one of the essentials if you’re after a firm mattress as the reflex foam base provides most of the support while the memory foam merely pads it out. 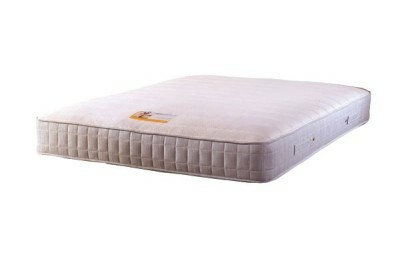 Although memory foam mattresses may sound great, as with anything they can have their faults. 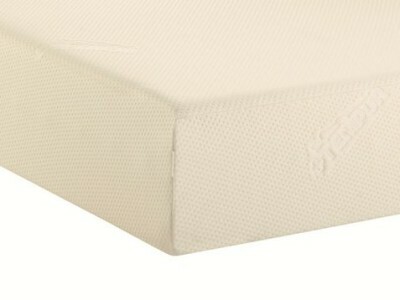 This is why it’s worth reading some memory foam mattress reviews prior to making a purchase. 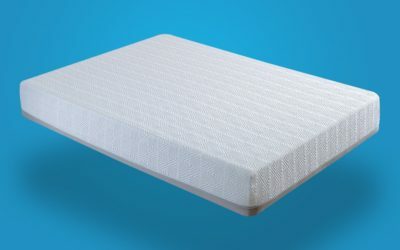 In the early days of memory foam, there were a lot of complaints about uncomfortable overheating due to the increase surface area in contact with the body and memory foam’s tendency to retain heat due to its solid state structure. 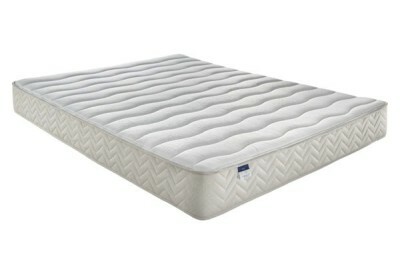 However, this has now been largely cleared up by the incorporation of temperature regulating fabric covers such as CoolMax and Outlast as well as specially designed reflex foam bases with grooves or raised nodules that allows air to circulate through the mattress. 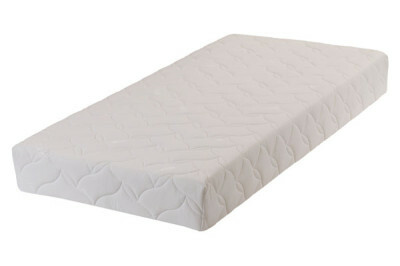 Another issue which is particularly evident with the cheapest memory foam mattresses is that over time, the foam can lose its elasticity and start to sag. 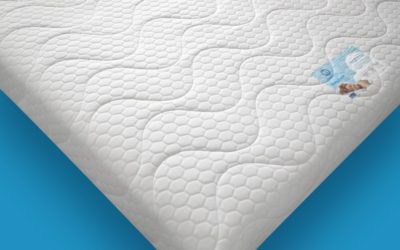 If you’d like to experience the feeling of memory foam without diving in at the deep and splashing out on new mattress, I’d highly recommend a memory foam contoured pillow which can work wonders if you work a desk job and suffer from neck aches. 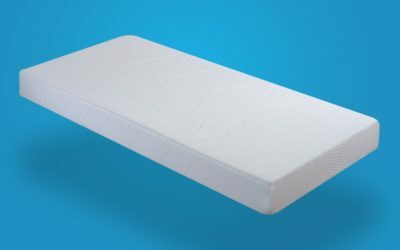 A memory foam pillow can really give you a sense of how supple and supportive the material is while also being a really worthwhile investment.